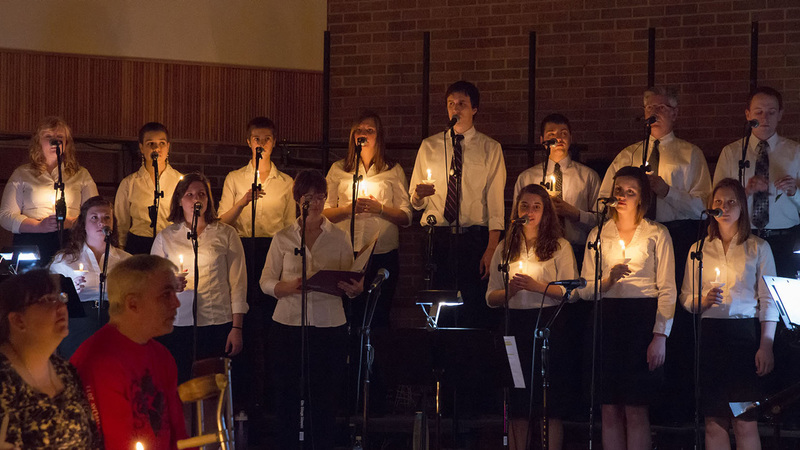 The Newman Singers, a liturgical & concert group from the Newman Catholic Student Center in Iowa City, Iowa, have toured the country for the past fifteen years, building a reputation for leadership in contemporary liturgical & inspirational music. They have appeared at churches, schools, and conventions, presenting concerts, giving workshops on liturgical music, youth ministry and youth choirs, and leading congregations in liturgy. Their ten recorded collections of liturgical music, written by their founder and director, Joe Mattingly, are used in parishes, schools and institutions throughout the country. Their mission is to spread the gospel with spirit and music.